An ancient Egyptian symbol prosperity and ambition, pomegranates have recently made a comeback as a superfood. Consisting of small jewel-like seeds (arils) full of liquid, encased in pith and a glossy outer skin, they chock are full of antioxidant vitamins. Apparently aril juice (the seeds) provides about 16% of an adult’s daily vitamin C requirement per 100 ml serving, and is a good source of vitamin B5 (pantothenic acid), potassium and natural phenols, such as ellagitannins and flavonoids (Source). I’ve been seeing them everywhere, and so bought them to enjoy at home, and at work on my breakfast. The juice stains really badly, but they are so lovely and tart it’s worth the cleaning & prep. 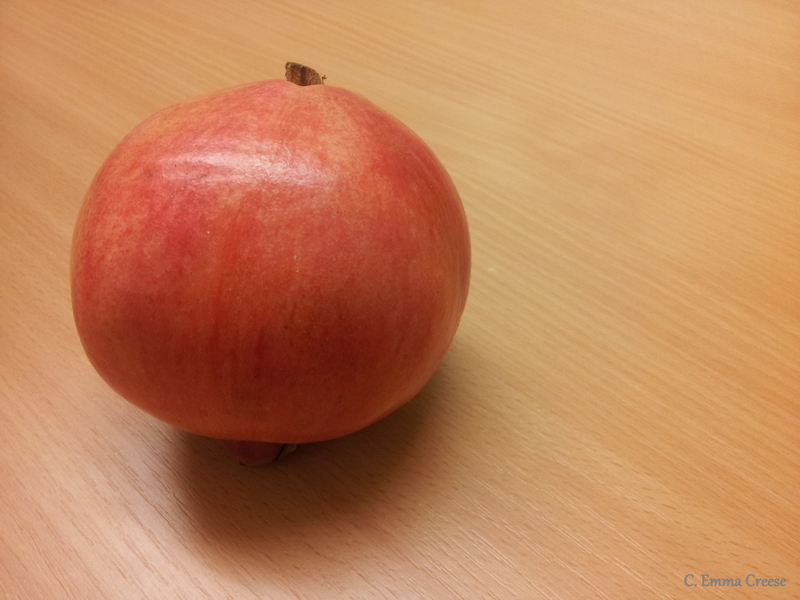 Apparently when buying them, choose fruit with glossy skin that are heavy for their size. I’ve been eating them on top of my normal brekkie of yoghurt, wheatgerm & fruit; in couple of my salads and smoothies (great tip for making these on the 5dollardinners website). I really like the various pomegranate drinks that are popping up and I think I’d like to try the pomegranate syrup one day – not sure what I’d use it for though. What is your favourite fruit? 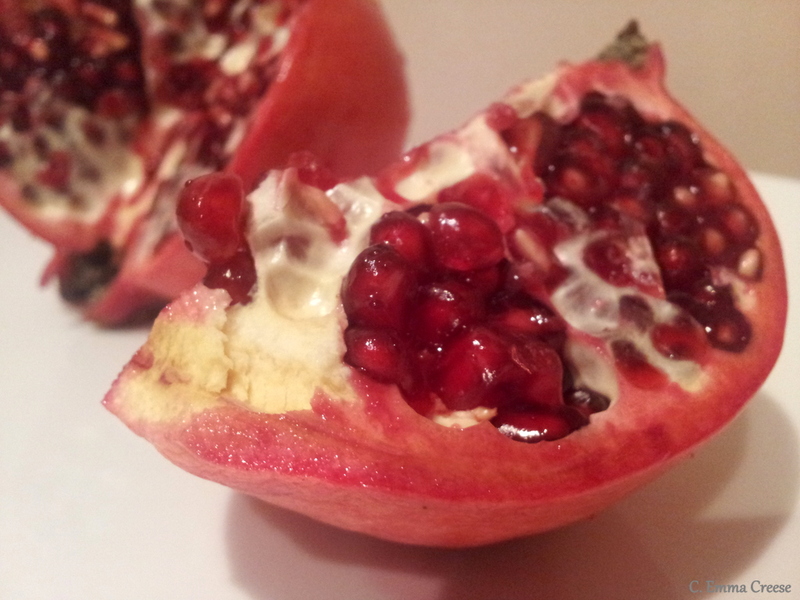 Have you tried Pomegranates before?